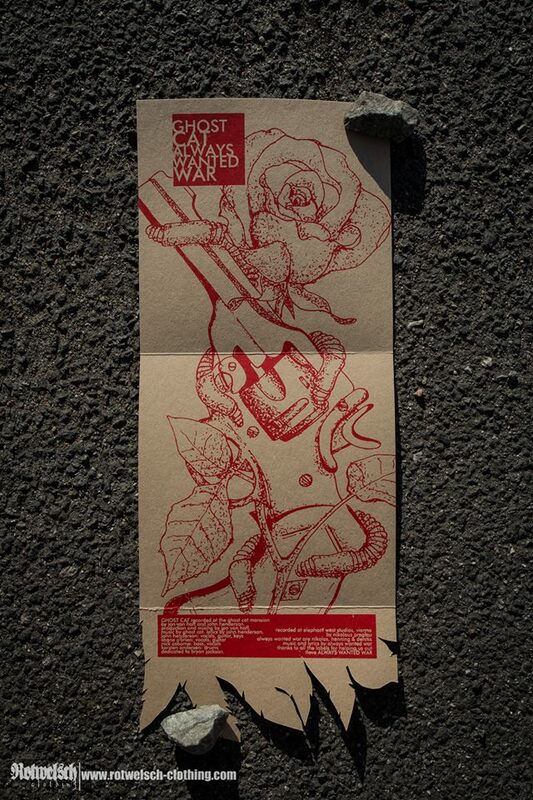 Always Wanted War had been on my radar long before releasing this Split, because they came over to play in Würzburg and were helping my old band with their label Tief in Marcellos Schuld. 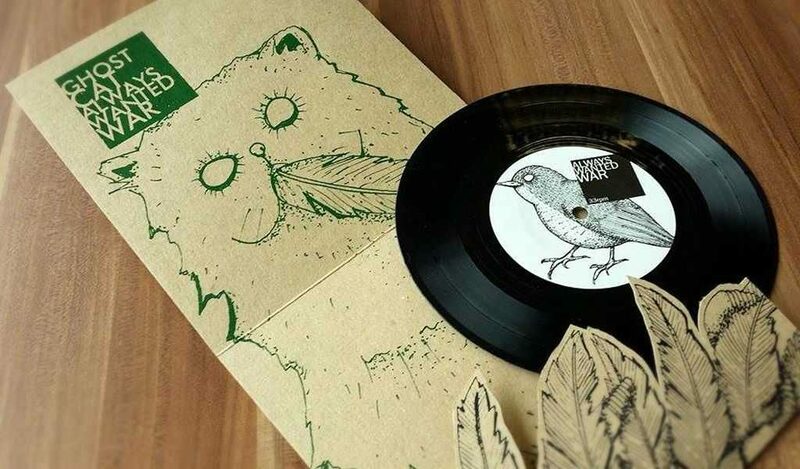 This Split is a great example of Marcellos releases, since it was mainly them handling the fabrication of this record, including the drawing, design of the packaging and organizing the screenprinting and laser cutting of the covers. 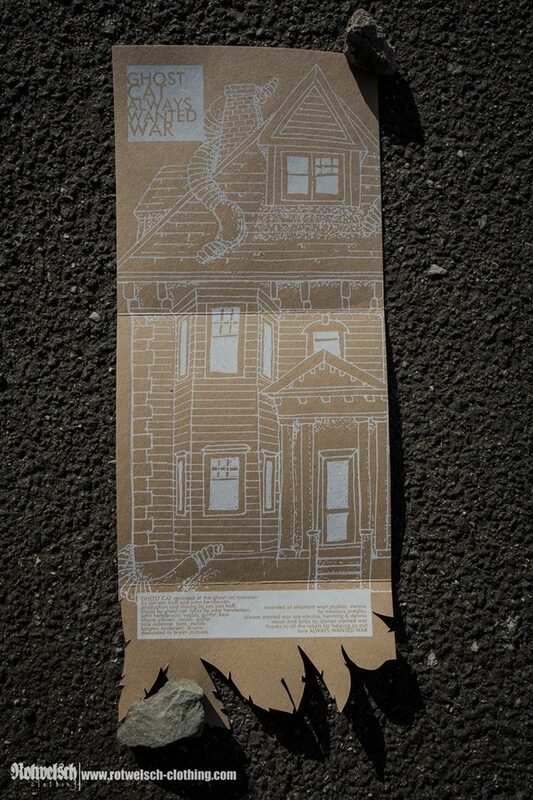 Ghost Cat on the other hand I was listening to and liked them a lot, but didn’t expect releasing a record of them, so this was a really great surprise and it was beautiful to meet them on their joint tour shortly after. 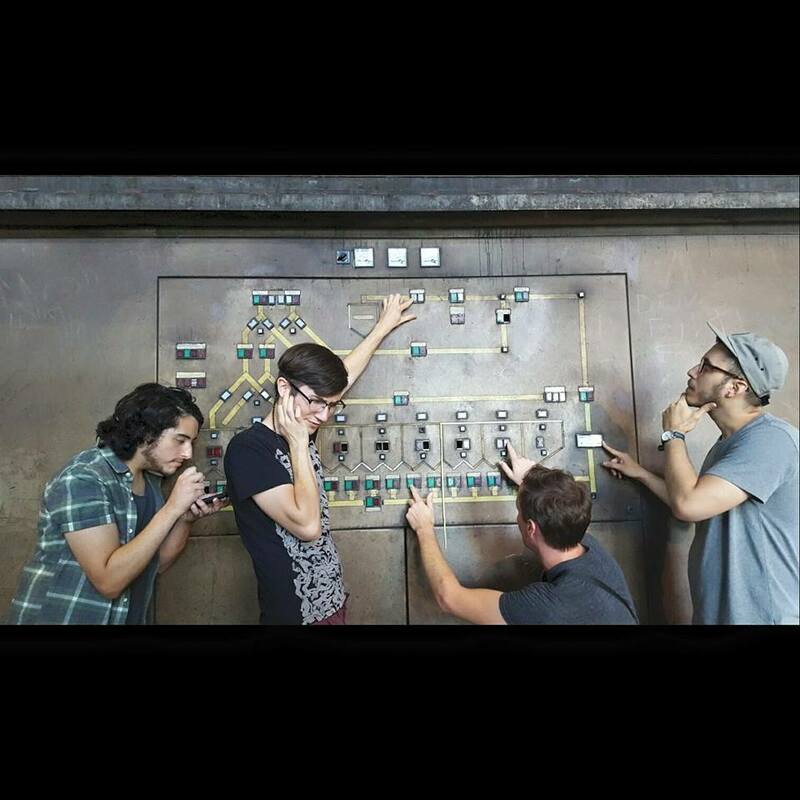 Ghost Cat are John (guitar), Shane (guitar), Karsten (drums) and Nick (bass). 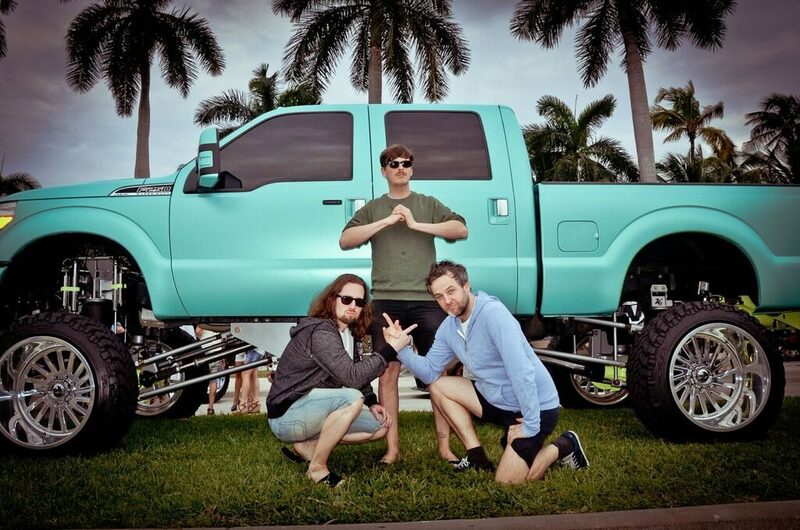 They are an Indierock/Emo band from Jensen Beach, Florida. Always Wanted War are Dennis (guitar and vocals), Henning (drums and vocals) and Nikolas (bass). They are a Punk/Metal/Screamo threepiece from Cuxhaven, Germany. these fragile moments before they’re gone. Broken in time by each passing second. I didn’t notice you, I wasn’t paying attention. I’d have given your love a different life. I’d have seen the sun in a different life. As it turned us to angels. If I could change one thing I’d see no difference between anything. your face half in shadow just talking to friends. Your distance affects me, not making demands. In the stillness and silence you try to make a stand. when I’m speaking to you! Holy guilt kill my heartache. You better stay home tonight, you better tell me you’re fine. Burn me alive, save me! You better tell me you’re fine, you better stay home tonight. Distant memories in pictures above your bed. cause you always scream when you’re afraid. Have you had enough to lose it all? 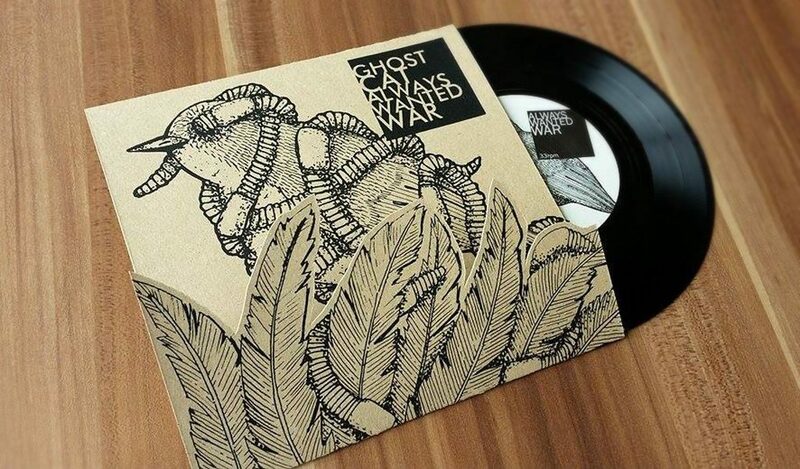 The Ghost Cat / Always Wanted War Split 7″ was released on July 3rd, 2015 by Tief in Marcellos Schuld Records, Moment of Collapse, Obdura, Last Exit Records, LTD Records and Krimskramz.